OLK WebAgent and OLK WebStore allow you to be connected with your business in real time from anywhere in the world. Be a part of this new way of making business by acquiring any of the solutions OLK® has for you. OLK is your complete online toolkit for SAP Business One sales success, 100% Integrated & Certified for SB1, to manage all sales and Ecommerce activities. Manage all business functions: financials, sales, inventory, operations, reporting. Everything you need to win more deals. Stay on top of every lead, partner and customer. 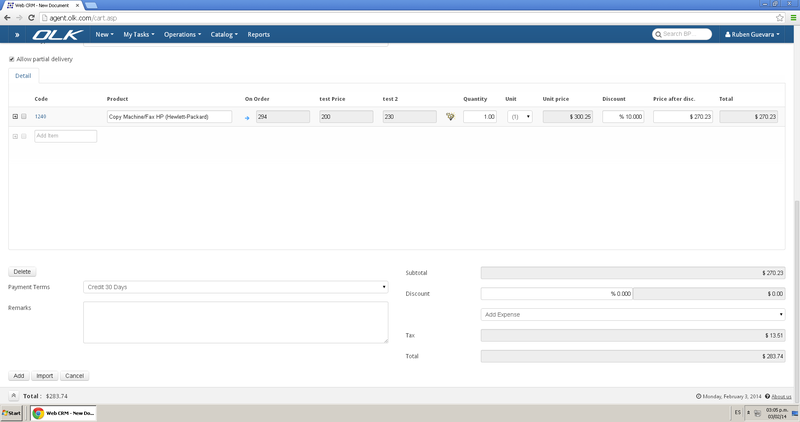 Create and manage an E-commerce Web store integrated with your SAP inventory. 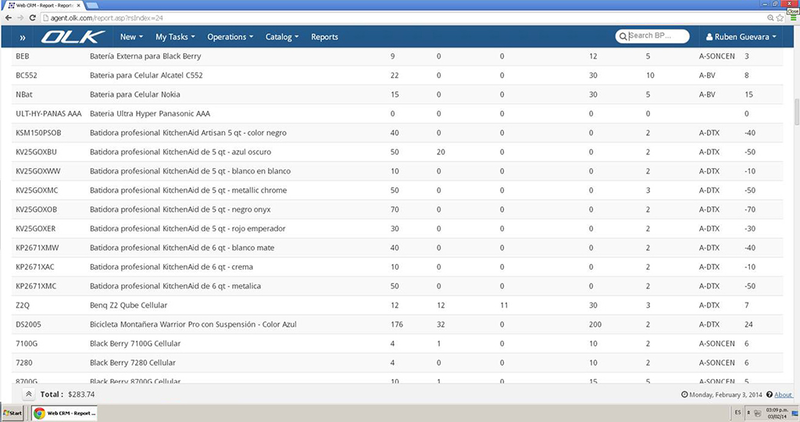 OLK WebAgent is a native web browser based tool, designed to optimize commercial and logistic processes. Easy to implement and manage, and with full integration to SAP Business One built in. Hardware independent, it opens access to SAP Business One areas such as Business Partner Master Data, Inventory, Prices and marketing documents to users anywhere in the world via any device with a web browser and connection to the internet. OLK WebAgent also offers various procedural benefits, including simple and efficient management of branches, flexible authorization flow management, alerting options and built-in, highly configurable reporting and dashboarding tools, all aimed at providing the business with both the control and efficient access to reliable data required in the modern commercial world. Today, selling through the internet is the easiest and most cost effective way to market products and make them available to customers. Integrated: SAP Business One ERP, Agent and E-commerce Web store minimizes sale cycle times and errors. Availability: OLK enables Internet browser and mobile access from anywhere, anytime. Scalability: OLK allows you to maximize your own resources and scale up or down with minimal investment. Adaptability: Complete control and management over the platform offers the ability to customize with confidence. SAP Business One ERP enables businesses to have real-time insight into business trends and critical processes with a 360 degree view of all operations—so you can respond to customers faster and grow your business more profitably. SAP Business One integrates all core business functions with comprehensive management solutions including financials, sales, customer relationship management, inventory, operations, and reporting. OLK Web Store enables businesses to easily manage inventory, order fulfillment and customer information with a custom designed SAP database-driven E-commerce Web store. With a built in shopping cart and multi-site capability, OLK Web Store can be deployed in hours rather than months, and ensures all online orders are processed and fulfilled quickly and accurately. 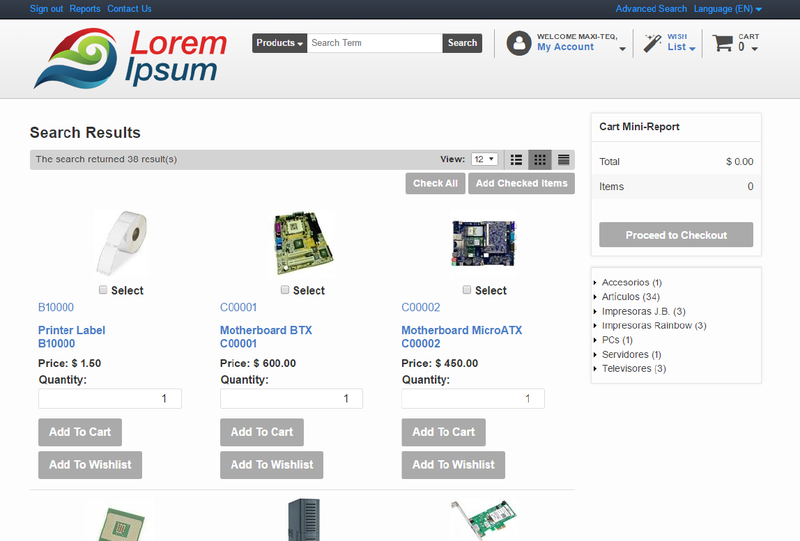 The Web store’s design is totally customizable via HTML and CSS. OLK Web Store can serve as a browser based self-service sales portal for B-to-B businesses. The integrated SAP Business One sales portal, (which can also serve as a B-toC Web Store), allows customers and vendors to securely and easily view account information, browse inventory, place sales orders and support requests; all this and more while establishing controls to ensure accurate information. OLK WebAgent provides real-time integration with SAP Business One giving you access to everything you need to know about your partners and leads in one location. With OLK WebAgent you can automate sales processes, generate alerts, monitor tasks, view real-time reports, access inventory levels and pricing info, and create sales quotes from any internet connection. Streamline any workflow or sales process, such as sending quotes and creating sales methodologies. Access stock/inventory levels and price information from anywhere. Create quotes and place orders from any computer or mobile device. Make diverse inquiries such as a detailed review of each item and its most recent transaction, check the base selling price for each item being negotiated, and much more. OLK sales automation allows your sales agents to respond quickly and confidently, as well as prevent rework and costly mistakes. 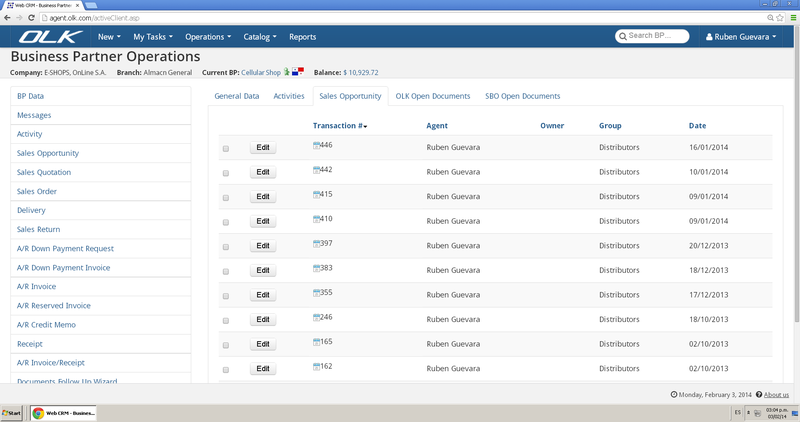 Sales agents, management and even customers can view real-time reports from any internet connection or mobile device. Custom alerts designed to notify people when their work is required. Create alerts with information from SAP Business One to be displayed in the OLK task monitor. Real-time dashboard of tasks and activities that require attention. 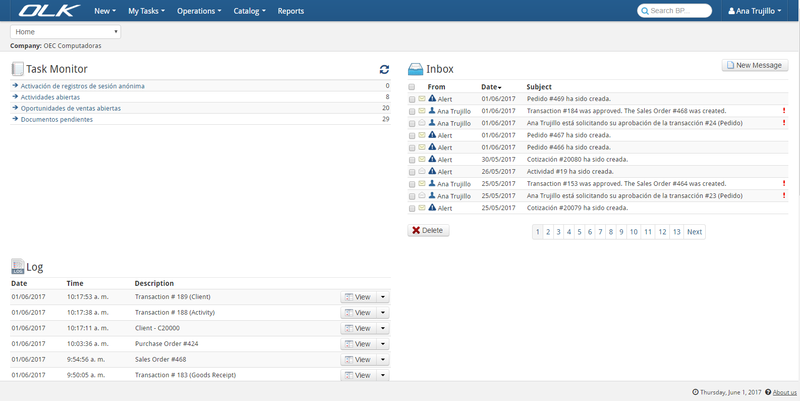 Set up OLK to create and assign tasks when work-flow rules are triggered. Optimize your organization’s efficiency and consistency by incorporating risk and compliance into the sales process. Gain control over routine activities, set user rights and roles, automate approvals and standardized business processes through flexible configurations. OLK comes in 12 different languages to meet the demand of an international customer base.